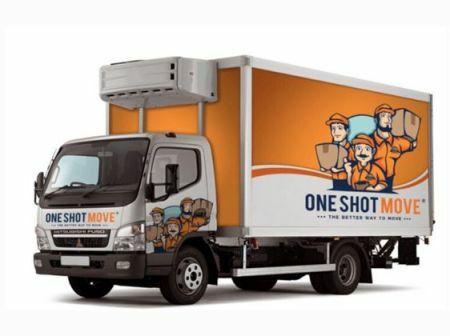 One Shot Move Moving Company is a renowned moving company of Los Angeles and is serving the customers with best possible moving services so as to make each move an enjoyable and stress-free one. The company deals in all types of moving and offers a wide variety of moving and packing services to make your move a stress free and painless. They are capable of performing every type of move be it residential, commercial, and local and long distance, they can do it all. All the services are offered at low rates and are efficient in making your move a memorable one. The rates of the move get fixed at the time giving estimates and does not include any other charges or hidden fees for any type of services like Stairs, Long Walking Distance, Narrow Hallways, Assembling and Disassembling or Shrink Wrapping etc. The entire process of moving is performed by the highly qualified and professional movers who are eligible in performing every task with full efficiency and hard work. They will handle all your belongings with utmost care and respect, ensuring full safety of all your goods while moving them from one place to another. With their movers, you do not have to worry about your moving, each thing will fall into the right place and you move will get completed on time that too without any chaos and issues. So, hurry up and call them to get more information about their services and also to have free in-home estimates as per your budget and preferences. The company got established in 2008 with an ultimate motive of making their customers happy and satisfied with an affordable and stress-free moving. The company is known to be the most preferred and dependable one and offers too good moving and packing services so as to make each of its client’s move easy and successful. They have a fixed tried and true method of accomplishing moves successfully and hence they follow the same pattern of moving clients with ease. Over the years, the company has come so far and has made no. of moves successful with their full fledge services that today it is considered to be the topmost moving company in the entire industry. All the reviews and ratings by their happy customers always help them in working harder with each passing day by updating their existing services with the newest and unique one. Alexander S. is a local moving specialist and is serving one shot Move as a manager for a long time now. Alexander makes sure each of their clients is happy and satisfied with the services provided and makes sure that each task is being performed as per the set standards of the company. 100 North Brand Blvd, Ste 413, Glendale.